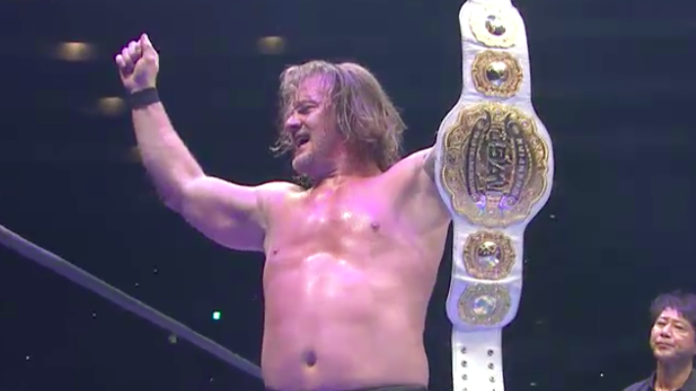 Chris Jericho has won gold in New Japan Pro Wrestling. He defeated Tetsuya Naito in Osaka, Japan to win the IWGP Intercontinental Championship early this morning. Jericho is just the 12th person to ever win the title and begins the 19th reign in the championship’s lineage. The all-time record-holder with this title is Shinsuke Nakamura. He has held the title 5x and defended it 17x. Nakamura holds the record for the most combined days spent with the title as well with 901. Naito’s reign finishes at just 41 days and 0 title defenses. He won the title from Minoru Suzuki at the New Beginning in Sapporo on April 29th, 2018. It was Naito’s 2nd reign with the title. He had previously held the belt for 259 days and defended it 4x from 2016 to 2017.